I wanted to make a simple layout with an image in the sidebar, more like we use to do in Tumblr, rather than a whole header at the top. 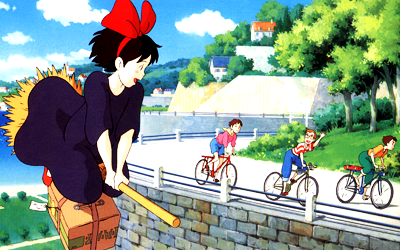 You can use any image you want on your sidebar (instructions further below) but I used an image from Kiki's Delivery Service, hence the title of the layout :3 I know it's too simple and has really nothing too original to it, but I started making this for myself and thought someone would like it for it's simplicity in changing headers and having a small sidebar etc. Enjoy! →Go to the customize page and set your style to Transmogrified. Then save changes. →Go to customize your theme. 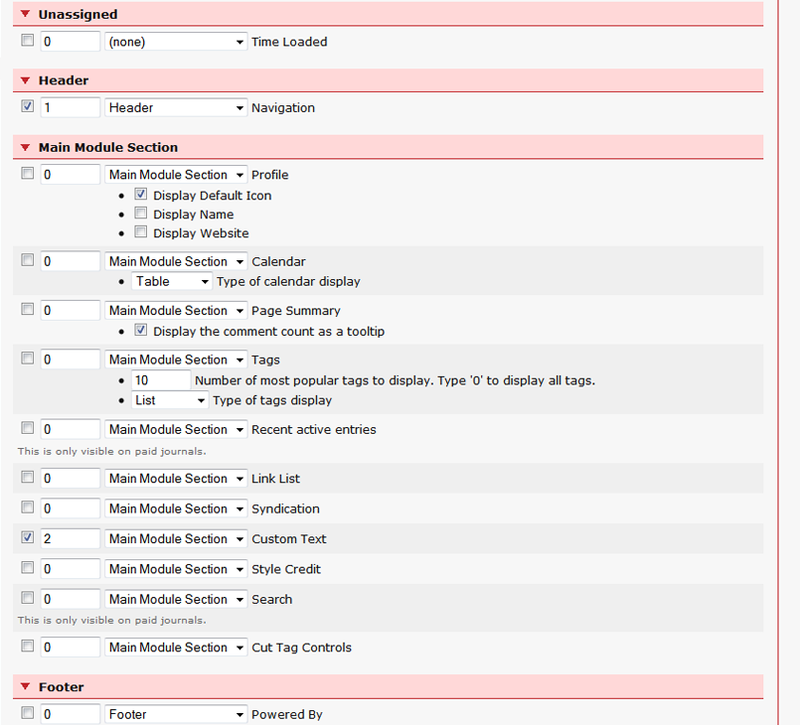 Go to modules and set up your sidebar like above. NOTE: Remember to hide all other modules. They are disabled but the cut tags "no cut tags" text appears and I don't know how to disable that except manually through the modules set up, sorry! Now paste the overrides on the textbox and save the changes. To put up a sidebar image you have to go to the text option from the customize page. Replace the url if you want to change the image to your own :D.
NOTE: Size in pixels must be 400 x 250 to look like in the preview. 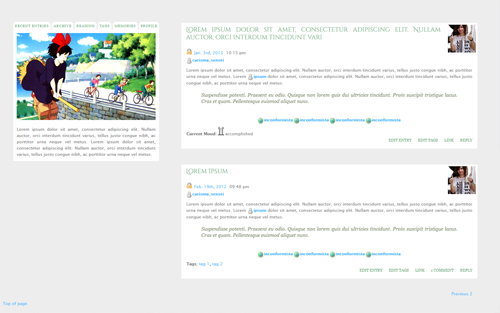 It may be taller or smaller in height, but the width must be 400px to look right (as it's the width of the sidebar). Sidebar picture. Feel free to use your own. →Paste this on your profile as credit for the layout. -You must credit inconformista on your profile if you use this layout. Please don't claim anything as your own. -Feel free to edit the layout as you like as long as you: 1)Credit me in your profile (with a note that you edited the layout) and 2)Don't use my overrides to create and redistribute any layouts around the internet, they should be for your personal use only, thanks! It looks like a tumblr layout! I like it. and now i notice that you mention that, oops. By the way I am using this for my blog but I think there isn't a 'track this' button anywhere? Is it possible for me to add that? Originally it was coded with fluid width but when I started coding the menu, I encountered problems positioning it centered with the sidebar, so I decided it would be best to make it fixed width in order to be able to keep the original design I planned. oh no, don't apologise! this is a labour of love. So beautiful, thank you for this. Very lovely layout! Thank you so much for this; I used it with this journal. I had another tab called Navigation, so I had to adjust the size of the secondary box. The new width I messed with is 492px. Also I should mention that the 1024px width resolution really doesn't cut it! I'm not sure if it's because I tampered with coding, but the journal entries are quite wide. I don't even know if it'll clash at 1366 resolutions either; it looks fine at 1920px widths though, heh. Hi! Thanks for using it and I'm glad you like it! To a higher %. 65 or 70 should be good. Snagged and credited. Thank you! this is a really awesome layout, thank you for making it! Thanks for the lovely comment! :3 Glad you liked it! Thank you so much for the lovely out! Ahh I didn't see this comment! Thanks for taking your time to comment and I'm glad you liked it! I love that you commented with that Akiya and Nao icon haha! I am currently using this layout. Nice and neat. Thank you.